English with Yoo - Way to go! Hi everyone! This is Jennifer Yoo with ENGLISH WITH YOO! 안녕하세요 English with Yoo!의 Jennifer Yoo입니다. 오늘의 표현은 Way to go!입니다. So what does it mean when someone shouts out, “Way to go!”? Let’s find out, but first we will listen to today’s conversation. 그럼 오늘의 대화를 들어보면서 ‘way to go’가 무슨 뜻인지 알아보겠습니다. 잘 들어보세요. Listen carefully. Jen: Woah! Jason! You look great! Jason: Thanks! I’ve lost about 15 pounds. I’ve set a goal to work out, eat smaller portions and be healthier. And I did it! Jen: Way to go Jason! 본문에서 제가 Jason에게 “Woah! Jason! You look great! 와! Jason! 너 아주 멋있어 보인다!”라고 하자 Jason은 “Thanks! I’ve lost about 15 pounds. 고마워! 몸무게를 15파운드 정도 뺐어. I’ve set a goal to work out, eat smaller portions and be healthier. And I did it! 운동과 소식, 그리고 더 건강하게 사는 목표를 정했는데, 해냈어! "라고 기뻐합니다. 그래서 저도 " Way to go Jason! 잘 했어! Jason!" 이라고 칭찬해줬습니다. Now keep today’s expression ‘way to go!’ in mind and let’s hear the conversation again. 그럼 다시 한번 대화를 들어볼까요? Today’s expression is way to go. “Way to go!” is an expression used for telling someone that they have done something well, or that you’re proud of their achievement. It’s basically an exclamation of approval and encouragement. It is another way to say congratulations, well done or good job. ‘Way to go’는 ‘That’s the way to go’의 줄인 말입니다. 그래서 누군가에게 잘 했다고 칭찬할 때, 또는 힘 내라고 격려할 때 쓸 수 있는 표현인데요, '잘 했어!' '바로 그거야!' 라는 뜻입니다. 더 신나게 말 할수록 듣는 사람도 힘이 나겠죠. Keep in mind that this expression is usually said with excitement. In today’s conversation I congratulate Jason for achieving his goal. His hard work and dedication to working out and living a healthier life paid off. 오늘 본문에서 Jason은 건강한 생활을 하기 위해 노력하면서, 몸무게도 많이 줄였습니다. 그래서 제가 칭찬을 해줬는데요. 영어로 “Way to go Jason!”라고요. 이렇게 누군가를 응원하거나 격려할 때 쓰는 말이 바로 ‘way to go!’ 입니다. 그럼 예문을 통해 오늘의 표현을 더 배워보겠습니다. “You scored the last goal! Way to go Brian!”라는 문장을 해석하면 “마지막 골을 넣다니! 정말 잘했어 Brian!” 라는 뜻입니다. Here is another example sentence. “I’m so proud of you for graduating college with the highest honors! Way to go Lisa!”는 “네가 대학을 수석으로 졸업해서 자랑스러워! 축하해 Lisa!”로 해석할 수 있습니다. ‘Way to go!’, 이 표현 잘 기억하시고요. 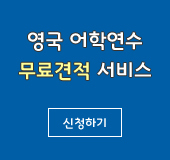 오늘의 대화를 마지막으로 들어보겠습니다. Now that you know what today’s expression means, let’s listen to the conversation for the last time. Let’s review what we have learned today. “Way to go!” is an expression used for telling someone that they have done something well, or that you’re proud of their achievement. WAY TO GO! Now try using this expression on your own. 지금까지 ENGLISH WITH YOO에 Jennifer Yoo입니다. Until next time, bye bye!